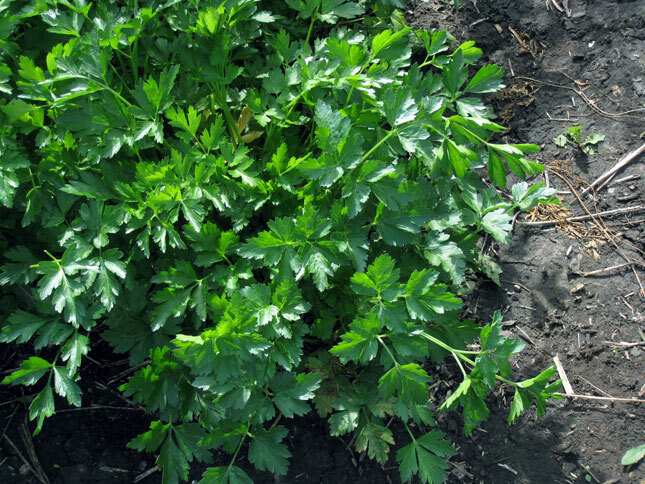 Heirloom Italian parsley has flat, dark green leaves with a stronger flavour than curly. It is a biennial which works well as an annual in Alberta. Sow seed 6 mm (1/4 in) deep in early May. Parsley can also be started indoors and transplanted out when they are an inch high. Freezing seeds overnight or soaking them for a couple of days in water will help speed germination, which can seem lengthy and occurs ideally at a soil temperature of 21° - 27°C (70° - 80°F). Space plants 15 cm (6 in) apart. Harvest outer stalks with leaves before they get too big - Parsley is cut and come again. We like to puree the leaves in a little olive oil and freeze in small jars to enjoy through winter.